For anyone heading to Myanmar, a stop to Bagan is definitely a highlight. 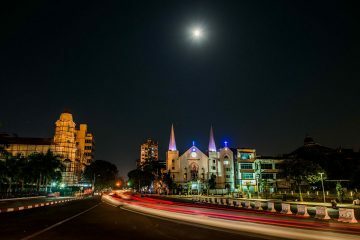 Known as the land of ancient ruins and pagodas, this city in the Mandalay region is frequented by many. During the peak of the kingdom’s rise, there were over 10,000 Buddhist temples, monasteries, and pagodas built in the area. Today, there are over 2000 ruins left, spread all over the plains of Bagan, making it a popular stop amongst tourists and travelers. 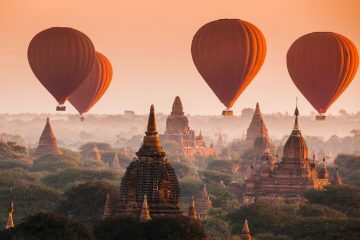 To help you narrow down what to do in Bagan, here’s our complete guide featuring all the best must do’s in this town. 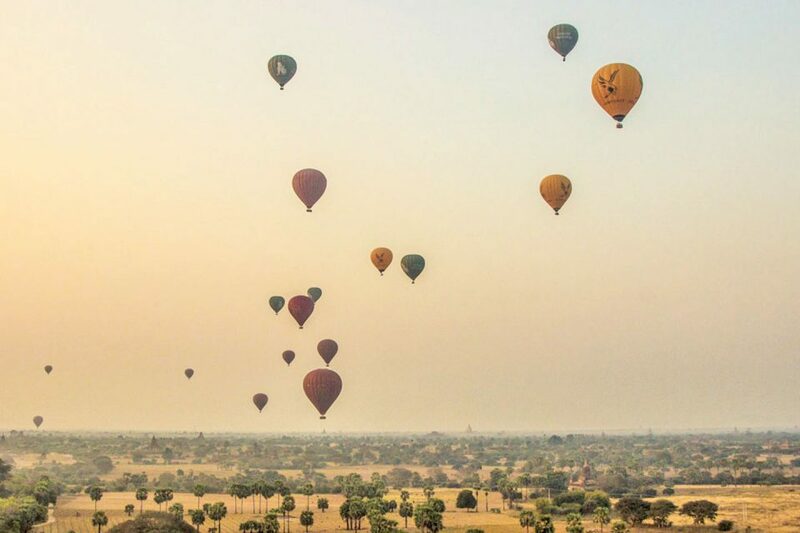 Even if you’re on a budget, I recommend splurging a bit in order to go on a hot air balloon ride in Bagan. This will surely be the highlight of your trip. Trust me, seeing the sunrise as you gaze out on the horizon as several dozen balloons glide along. It is truly a magical sight and is something that we wouldn’t stop recommending. Some balloon providers make the experience even more extravagant by providing a fancy breakfast including a glass of champagne. Naturally, one of the best things to do in the area is to watch the sunrise over ancient pagodas. 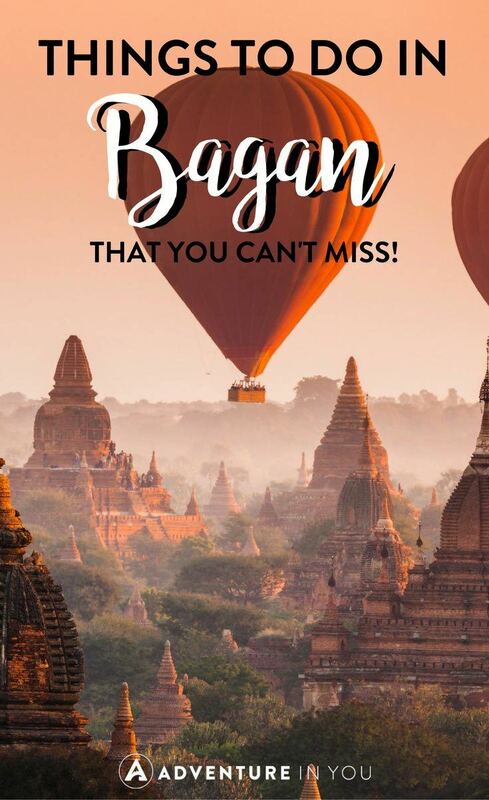 Choosing which ones to visit is particularly tricky which is why we created this dedicated guide for exploring the temples of Bagan. In a nutshell though, here are a few of the top pagodas and temples that are worth visiting. 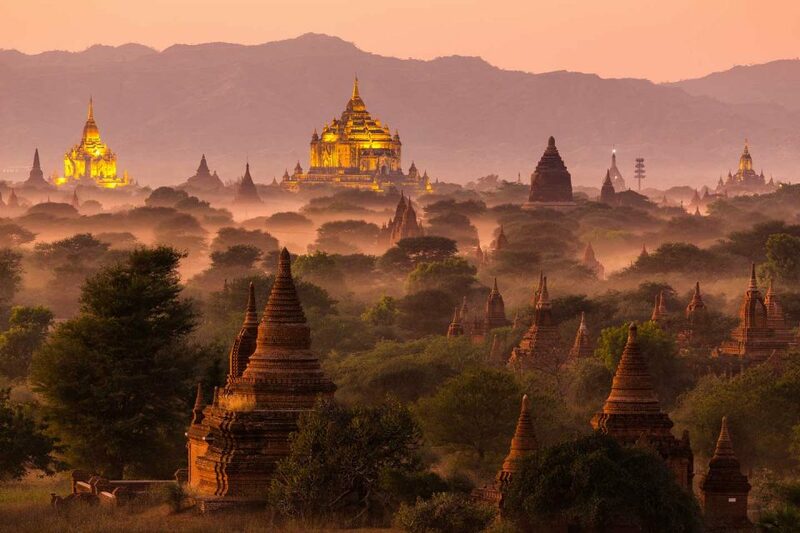 As for the best pagoda to watch the sunrise from, our recommendation for a low-key, off-the-beaten-path attraction to see it from is the Low Ka Oushang Pagoda. Another awesome way to see all the sights and sounds of this city is by going on a walking tour, walking to the nearby temples and pagodas that are accessible by foot. This allows you to walk on footpaths, avoiding the main roads where most of the cars and horse carts travel. 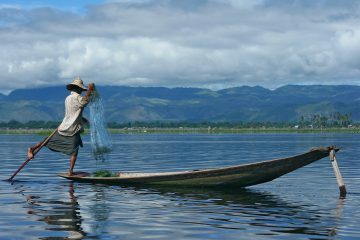 If walking isn’t your thing, check out our transportation guide for Myanmar to see other options such as e-bikes or scooters. You can still follow the same path which is easily highlighted on any map. After a long day of walking (or biking) around temples, there’s no better way to end the day than by watching the sunset by the (Ayerwaddy River) Irrawaddy River. Before your boat ride, you can also opt to explore a few of the temples located close to the river. Unlike the popular pagodas in the main area of Bagan, you can also stop by one of the riverside temples which offer a different view from the usual ancient ruins. We recommend checking out Bu Paya Temple. For your riverboat cruise, we recommend checking out this Bagan sunset cocktail cruise which includes transportation from your hotel/hostel, a cocktail of choice and a few light snacks and refreshments. One of my favorite things to do while traveling is to visit the local markets. 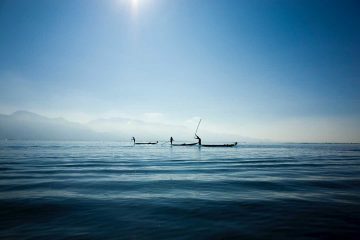 Not only does it give you an inside glimpse of the local life, it also shows you the local ingredients that the locals use when cooking local dishes. There is a local market near Nyuang U which you can easily access. While here, you can also opt to eat nearby local food stalls or try out some of the fresh fruit and unusual flavors. This is a great way to break up your temple touring. 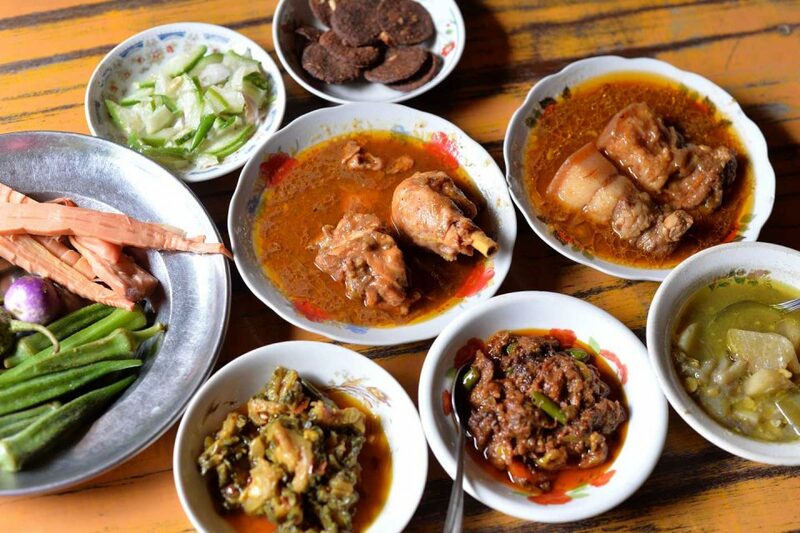 If you’re wondering what type of food to expect, check out our full article on what to eat in Myanmar. 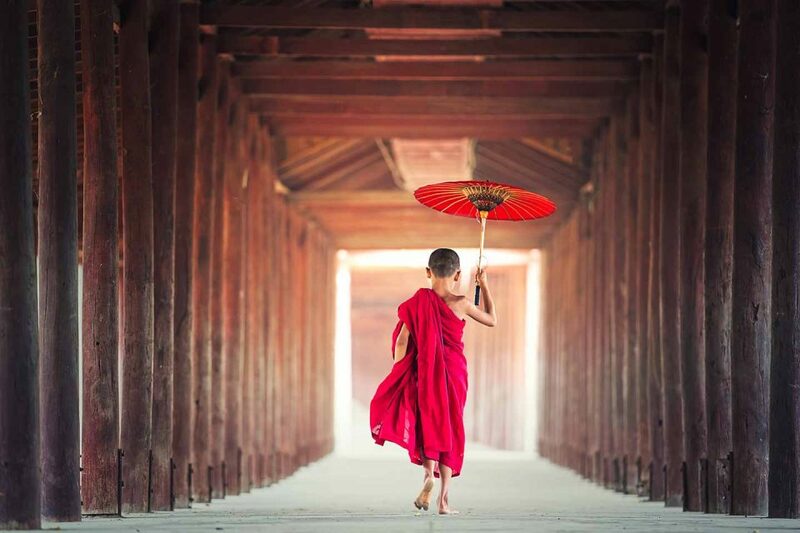 If you’re interested in learning more about the incredible Buddhist culture that surrounds Myanmar, we definitely recommend checking out a few monasteries. Home to lots of young Buddhist monks, you have an incredible opportunity to see what training is like when you visit certain places. You can opt to visit places like the Kyat Khayon Cave Monastery, or other ones which are often included in standard Bagan day tours. Located about 90 minutes away from Bagan, a lot of people opt to visit this popular volcano on a day trip. Loosely hailed as the Mt. Olympus of Myanmar, you can hike for hours to see this unusual monastery located on top of the volcano. Locals make their pilgrimage up this mountain as it is supposedly home to the spirit of Burma (nat). Aside from the picturesque monastery, you also have heaps of monkeys so make sure you don’t have any loose pieces of clothing or food on you during your visit. Great post ! Pinned on Pinterest – thanks for all the information !